The snow is melting, and potholes are popping across the city, but did you know that they can damage your vehicle? More damage could also come from other vehicles swerving to avoid the potholes or braking too hard before a pothole. Other drivers can become more dangerous than the potholes themselves. 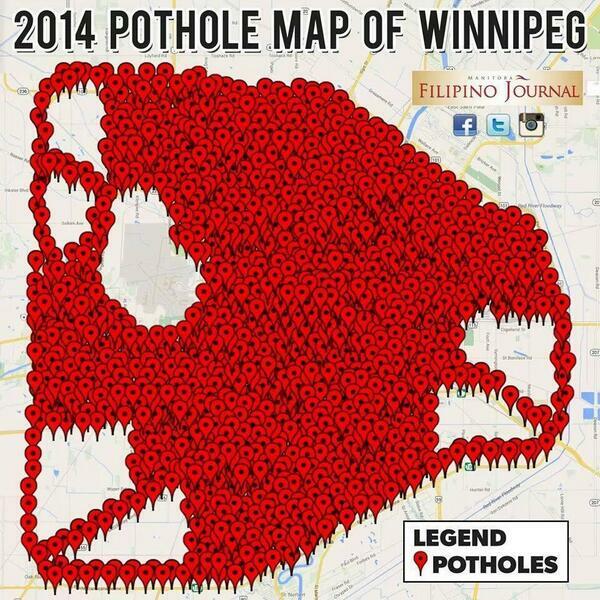 Winnipeggers understand that potholes can be dangerous to their vehicles, but how can you keep from damaging your vehicle? If you know that a street is riddled with potholes find an alternative route. A pothole can’t damage your vehicle if you never encounter it. Change lanes while approaching potholes when it is safe. Do not swerve, but instead fully change lanes to avoid confusing other drivers and always signal your intent. Not only will this help your vehicle avoid further damage but gives other drivers a heads up about the pothole. If you find that all lanes are full of potholes, reduce your speed and stick to one lane. Slow down if you are approaching a pothole. Slower speeds allow for your vehicle to react and autocorrect the stress of the sudden drop. Always leave at least two seconds of distance between you and the vehicle in front of you. It is impossible to predict what other drivers will do. 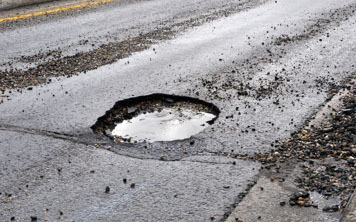 If you believe a pothole may have damaged your vehicle visit one of our service centers sooner rather than later. Smaller vehicle issues tend to turn into larger issues when left untreated.